As Federal agencies move toward hybrid cloud environments, the need for IT managers to bridge the gap between today’s current infrastructures and tomorrow’s cloud future is vital. While modernization is on the forefront of many Federal IT conversations, various hold-ups including fear of change and loss of control have impeded progress. Hear insights from Mika Rosa, Lead Technologist, Department of Homeland Security, Gerald Caron, Acting Director of Enterprise Network Management, Department of State, and Dale Degen, Business Director, Cloud Infrastructure Business Unit, NetApp discuss current HCI adoption in the Federal government and the path forward for future adoption. 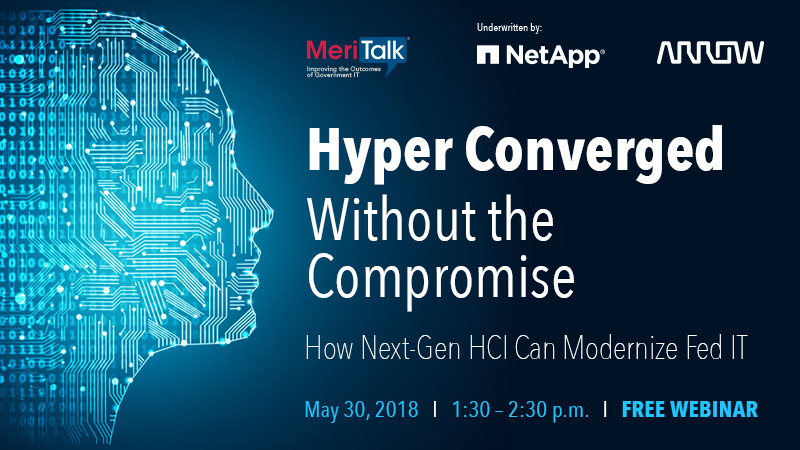 Please contact Taylor Fincik at tfincik@meritalk.com should you have any questions.